This weekend saw a pair of simultaneous online software releases that, if successful, may just put an end to one of the worst aspects of the Web – vitriolic anonymous comments. 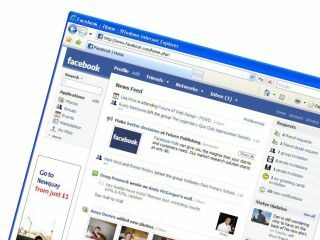 FaceBook's Connect service and Google's Friend Connect both finally went public after long periods in development to allow different websites to share information about their users by identifying them consistently wherever they go. By encouraging people to use one account – and, therefore, one online identity – across various websites, the rival services are effectively promoting the use of real, permanent identities and the accountability that goes with them. FaceBook has long insisted on users displaying their real names instead of more traditional made-up nicknames. Indeed, in many ways, really being who you appear to be is part of the purpose of any social-networking site. Google, on the other hand, encourages users to keep it real by tying the Friend Connect identity to other services, such as their Google account, AIM identity and even Yahoo sign-on. While there's far more to both services than just putting names to faces, one of the benefits of the move to persistent identities will surely be the end of idiotic comments that disfigure sites such as YouTube. Perhaps in a few years, we'll even look back on the days of online handles, myriad signups on different sites and sneaky sniping from behind a wall of anonymity as quaint relics of the early days of the internet.